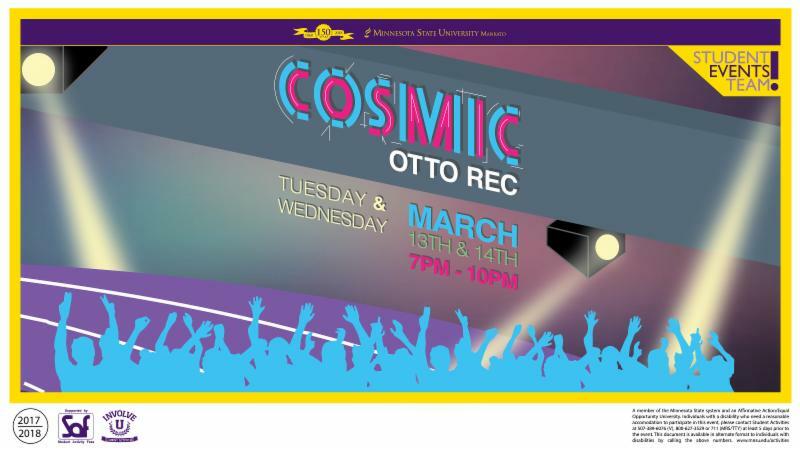 Earlier this month, The Student Events Team collaborated with Campus Rec for an event that made students rave: Cosmic Otto Rec. Cosmic events on our campus have grown extremely popular in the past few years. Events like Cosmic bowling and cosmic bingo have been popular in the past, but nothing like this. Cosmic Rec transformed Otto Rec Center into a 2-night energetic party decked out with animated lighting, special effects and loud music. Alex Weiland, concert chair for the Student Events Team and the brains behind the event, wanted to bring a different and unique atmosphere to Otto Rec. He also hoped that the event would encourage more people to visit Otto Rec and give something extra to those who are regulars. “Everyone at Campus Rec was great to work with. Everyone was very helpful and encouraging of trying something new and creative in the space,” Weiland said. Campus Rec was happy with the event and plan to host again in the future. Mavericks are finding that classrooms are only one of many sources for cultivating knowledge on campus. Team climbing and high-ropes courses can be just as beneficial. Sam Steiger, director of the Adventure Education Program at Minnesota State, Mankato helps foster leadership, teambuilding and self-motivation through experiential learning. The Adventure Education Program is often used by RSOs, sports teams and some special needs groups in the area. They’ve even worked with corporations like Target and Taylor Corp.
Steiger was the inspiration for the rock-climbing walls that boast over 20,000 climbers each year. 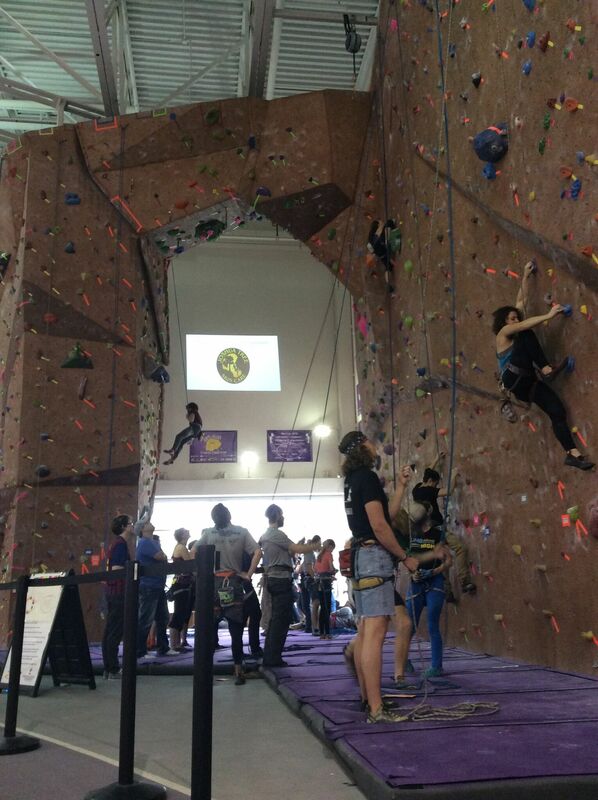 Growing community interest in climbing has led to The Whipper Snapper Spring Climbing Competition—an annual event hosted by Campus Rec. There are plans to push the program even further to offer a wide range of rental equipment. The Adventure Education Program, brainchild of Dr. Jasper Hunt, has come a long way since it began in 1982. Dr. Hunt built the outdoor challenge course as a lab for MSU’s Experiential Education majors. The program continues to expand as Mankato students and residents seek new ways to achieve mental and physical strength. Thanks to those who work hard to maintain and propel the program, tens of thousands of people utilize and learn from the facilities each year. The outdoor ropes course and climbing wall will be available starting Sunday, April 15. Contact the Adventure Education Program office to schedule a group or solo session—no fee for students. 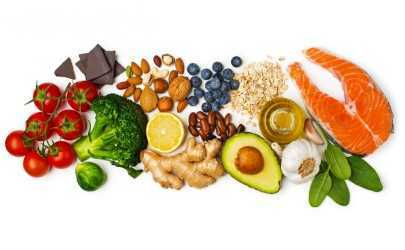 Are you sick of your daily, strenuous routine at the gym? Switch it up and try an interactive group fitness class! 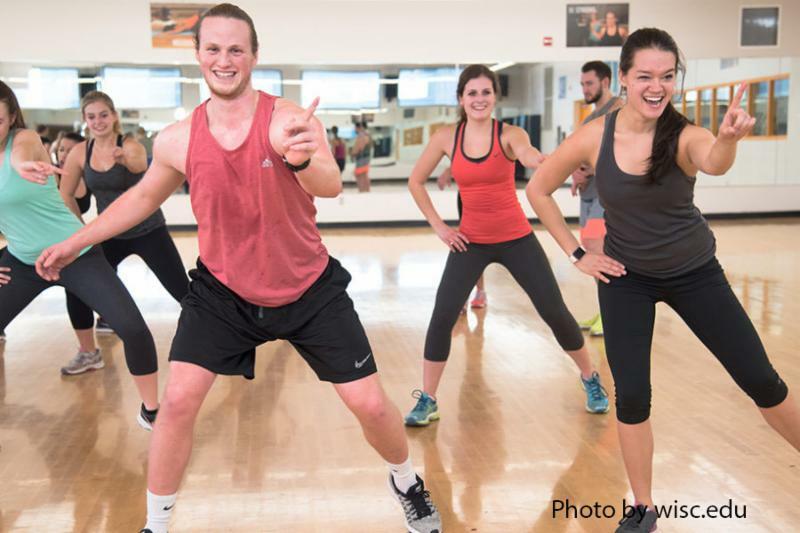 During the school year, Campus Rec offers 22 group fitness classes on campus each week. Classes range from yoga, meditation, core conditioning, Zumba, high-intensity interval training (HIIT), Thai dance, cardio-based classes, hip-hop, circuit training, strength training and stretching classes. When speaking with Carly Hopper, fitness and wellness program coordinator at Campus Rec, she explained how unique and versatile the classes are for students with busy schedules. She says the Group Fitness classes provide an opportunity for friends to get active together and also provides an opportunity to meet new people who share the same interest. If group fitness isn’t your forte, Campus Rec offers other options that are bound to get your blood flowing – intramural sports, sports clubs, adventure programs, Maverick Adventures pilot programs, indoor and outdoor climbing walls, a “Health in Every Aisle Tour” at the Hilltop Hy-Vee Monday, April 9, the MSU sprint triathlon Sunday, April 29 and more. Hopper suggests that studies show that students who are physically active have a higher retention rate in schools versus those who are not. Studies also suggest that physically active students have a decrease in depression and anxiety problems. Campus Rec is always developing new, creative ways to keep up with MSU’s physically active and collaborative community. For a full list of offered fitness classes and events, visit https://www.mnsu.edu/campusrec/fitness/groupfitness.html and follow the Campus Rec Facebook page for event notifications. One of the Midwest’s largest free-standing (4 walls only) facilities is going to have an entirely new look in Fall 2018. Myers Field House is set to undergo a $740,000 renovation that will bring new floors, a fresh paint job, updated artwork and new logos to the facility. Some of the renovations began over Spring Break and will continue through the summer with focus on upgrading the floors. “This is the original floor from December 2001, and the wear and tear over the past 16 plus years requires us to replace it,” said Todd Pfingsten, MSU director of Campus Rec. The new floors will receive an updated color scheme as well. The track, which, according to Pfingsten, sees “the majority of the wear and tear,” will be purple. The infield courts, which are lined for basketball, volleyball, tennis and badminton will be a charcoal gray. The area between the courts will be a lighter shade of gray. The walls will spirit the school colors of purple, gold and white. Pfingsten said students and faculty can look forward to seeing some new artwork and logos on the walls as well. The painting began over spring break and is expected to be completed no later than the end of June. The floors will be installed beginning mid-June and finished by early September, just in time for the school year. Pfingsten said the project is being funded primarily by two sources. The flooring project, which costs $737,580, is funded by a special allocation from university reserves. The painting project, which costs about $3,500, is being funded by departments who normally occupy the facility. Myers Field House is a shared facility by human performance for classes, athletic practices and collegiate track meets, and for Campus Rec programs like open recreation, sport clubs, indoor climbing and adventure education programs. The upgrades will benefit many people beyond those who use it regularly as Todd Pfingsten and Campus Rec host a variety of campus and community events including: Welcome Week, Family Weekend, concerts, Relay for Life, the Mankato Marathon Expo, youth and high school athletic tournaments, science fairs and more. For more information on Myers Field House and MSU Campus Recreation, visit http://mnsu.edu/campusrec. Hidden disabilities like anxiety, depression and bipolar disorder often go undiagnosed until college. Because of that “invisibility,” stigma surrounding hidden disabilities has caused a lack of discussion on the validity and effects of these conditions. Snow said the Accessibility Resources Office works to accommodate all students with an existing diagnosis and welcomes those who have yet to seek help. From note-taking services to reduced course load to alternative testing, the office works to make campus more user-friendly and accepting. Keeping this topic in conversation is crucial to shine light on parts of the conditions that aren’t easily recognized by someone who doesn’t live with them. Snow’s primary message is that if we can take a step back to listen and be approachable, we can change how society perceives the reality of living with a hidden disability. Showing sensitivity and showing awareness with our vocabulary is the easiest way to help make people with disabilities feel more comfortable and willing to seek help. MSU is working hard to accommodate students with disabilities. Mutual effort between students and faculty to unveil the issue will continue to improve understanding and acceptance. The Minnesota State Student Association is more than just a student government – it’s students helping shape Minnesota State Mankato’s future. Joshua Atencio, MSSA election commission chairperson, says the organization passes and reviews policies that are “changing and evolving” the University in many ways. From small things like increasing the number of printers available on campus to big projects like working with the City of Mankato to get street lights installed on Stadium Road passed Kwik Trip, MSSA enhances students’ college experience. Because of that far-reaching impact, Atencio says students should make sure they vote during the April 10 MSSA elections. “The importance of voting is to have your voice be heard. As in any election, there is no change unless you express it through voting,” he said. In addition to selecting a new president, vice president and senators, this year’s ballot is set to include some significant policy changes, including a budget referendum. In 2017, the Minnesota Legislature passed Minn. Stat. § 135A.0434 Mandatory Student Activity Fees Referendum, which says if a student activity fee budget increases by more than 2 percent from the previous academic year, the increase must be approved by a majority vote of students who vote in a campus referendum. The previous percentage was 3 percent. According to Wallace Pope, off-campus senator for MSSA, this year’s budget has an increase of 2.96 percent, which means there has to be a referendum. Pope said after much deliberation, MSSA was able to cut back the percentage significantly, particularly in the green line bus route. Pope said one budget line discussed was The Reporter. Pope said it was important that MSSA helps students and retaining student jobs made keeping The Reporter’s funding an easier decision. Other cutback considerations included eight gold parking passes for Reporter student staff which MSSA members felt wasn’t a necessity to the paper’s operation. Aside from those major discussions, Pope said this was one of the “smoothest meetings for the budget” MSSA has had in the last 6 years. Pope and Antencio both stressed the importance of students not only voting during the MSSA elections, but also getting involved — whether through running as a part of one the election’s parties or becoming a part of committee. Atencio said MSSA gives students ample chance at networking not only with one another, but also with department heads and provides opportunity to make real change. Pope said it’s really exciting and a great experience. “It gives you a lot of leadership opportunities, gives you the opportunity to branch out and do things you never thought you could,” he said. MSSA is the student government of MSU and they represent the interests of the student body at university, community, state and federal levels. It’s made up of a President, Vice President, a Senate Speaker and 30 senators. They are also responsible for organizing several committees that all work on different areas of the university such as Student Allocations, Campus Recreation, Diversity and Athletics. MSSA Elections take place Tuesday, April 10 from 8 a.m. to 6 p.m. and students can cast their votes by visiting mnsu.edu/voting/. A valid STAR ID and password is required to vote. Questions about MSSA or the election can be directed to Joshua Atencio at joshua.atencio@mnsu.edu. Did you catch Wednesday night’s high energy, jaw-dropping, student-favorite event? That’s right, Wednesday was the spring installment of the LGBT Centers bi-annual Drag Show. The “Spring Gender Bender Drag Show” offered special feature performances by four of our very own MSU students, including Luna Muse, Aniyah Rose, Princess Blue Rose, and Luscious Rose. Past Drag Shows have been one of the most popular – often sell-out – campus events. Participants believe that having a bi-annual Drag Show is a great way to represent Mankato’s diversity. Aniyah Rose, a first-year finance student, had her first performance on the Ostrander stage. Visiting before the show, Aniyah said participating in this spring’s student spotlight was an important personal moment. “I love the diversity that Mankato has to offer and the opportunities that follow that diversity.” She added that her favorite part of being in the Drag Show was the ability to perform in front of her fellow students. Performing in drag offers various challenges ranging from makeup to stereotypes. That illusion comes with lots of preparation – and makeup. After all the preparation, the next big challenge is wowing the audience. The performances spanned upbeat Lady Gaga tracks to socially conscious songs such as P!NK’s “Dear Mr. President.” Incredible talent, energy…and dollar bills was visibly evident. With a campus performance now to her credit, Aniyah said she hopes she helps pave the way for others wanting to follow. For many Black students at Minnesota State Mankato, the first few weeks on campus can challenge their success as a college student. By the end of the year, many of those same students are finding themselves or fellow student role models stepping into the spotlight cast by the annual Ebony Ball. This year’s formal ball is tonight (Friday, March 23) at 7 p.m. in the Centennial Student Union Ballroom. “Black Excellence” will be the theme as five Black students are recognized for personal achievement during the event organized by the Black Student Union and the Office of African American Affairs. For Rosalin Cobb, president of the BSU, the evening is about recognizing personalities, abilities and possibilities. “It’s a night to highlight what we accomplish and to recognize how each of us can change the future if we set our minds to it,” Cobb said. The evening event, open to the campus community, will feature five top student awards including the Michael T. Fagin Award. The award named for former dean of Institutional Diversity and founder of the nationally renowned Michael T. Fagin Pan-African Conference. Other top student awards include outstanding upperclass student, outstanding freshman/sophomore student, student advocating political and social change and student advocating inclusivity. Cobb said several fun awards will also be awarded during the ceremony. Entertainment for the evening features two drag performances, student singers, an Asian American dance performance and a poetry recital. The night concludes with a DJ dance. The Multicultural Center and later the BSU helped Cobb make the adjustment. 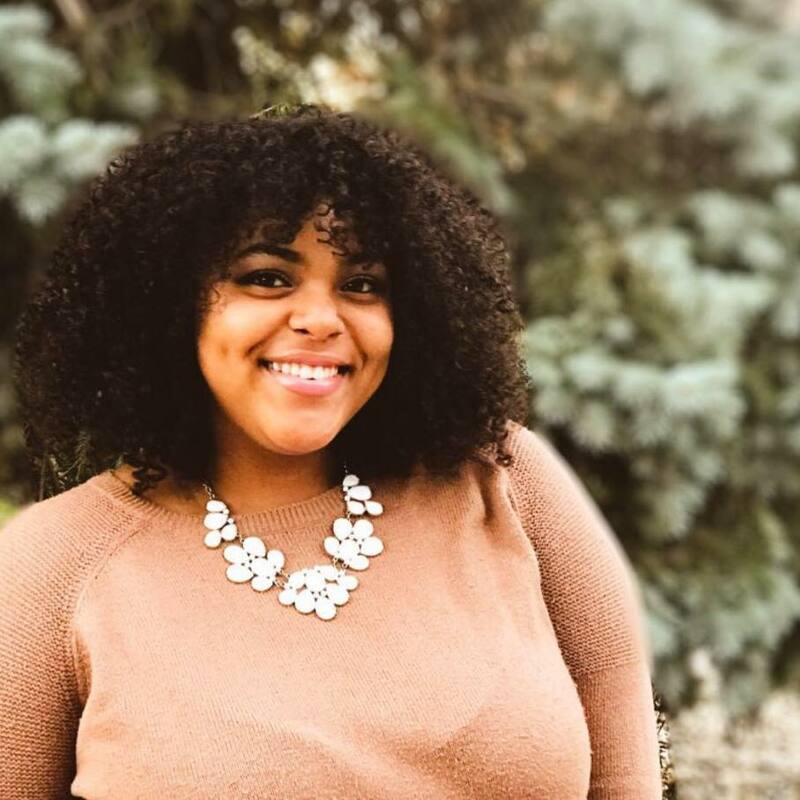 When she realized she needed more leadership experience, she got involved in BSU. Among her BSU accomplishments was seeing greater collaboration between African American members and international African students. The BSU and the African Student Association meet bi-weekly to plan joint activities, programs and events. “We’re all friends, we all hang out.” she said. Following tonight’s Ebony Ball, Saturday’s annual African Night in the CSU Ballroom is one of the most popular cultural nights on campus. Besides building lifelong friendships, and networking opportunities, Cobb said great reward comes from watching others succeed. Among her proudest moments was BSU earning top LipSync honors at last homecoming’s popular event. “It was great to see them shine,” said the St. Paul native. With graduation just weeks away, Cobb said she plans to enter the working world before pursuing her master’s degree. With her she takes a sense of accomplishment that she helped advance campus awareness, achievement and inclusion with far reaching expectations and results. The mind of a college student can be a spooky place. Many nights as I lay in bed, it kept churning – running through the countless textbooks that need reading, papers that need typing, and professors that need bribing. That doesn’t even count the mind clutter outside of school. Sometimes it seemed like anxiety was my job. Do you sometimes feel the same? Don’t fret—such is life. Throughout my college career, I’ve spent precious time asking what I thought were the world’s most fundamental questions; did I botch exam 2? Will the curve be in my favor? How late is Chipotle open? All that time spent trying to predict my future was time I could have used to shape it. Luckily, I figured that out. It has been over five years since I sat in my first college course. I’m less than 50 days from graduation, and the extra three semesters it took to get my bachelor’s degree turned out to be the most crucial. With help from friends and family, I discovered my drive to keep my head in the game. When I found myself low on cash and motivation, I reminded myself about the reward at the end of the track. If I could finish school, I would get to write for a living. People would actually pay me money to do what I love! Constantly reminding myself why I was putting in the hard work (and a steady flow of Steve Jobs quotes) made it possible. Use the many helpful resources at MSU to your advantage. Look to friends, professors, family and peers for support. Constantly remind yourself why you’re seeking an education. Before you know it, you’ll see the checkered flag in the distance, and the only thing keeping you up at night will be the image of yourself walking through a sea of black robes and square hats to receive your degree.